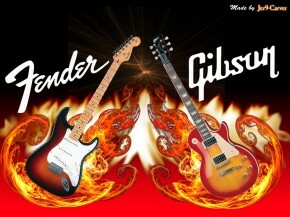 Gear Vault » featured » Guitars » Gibson Guitars vs Fender Guitars – Which is better? Ah, the classic Gibson vs Fender debate. This dispute has become so famous and so controversial that nearly all guitarists are forced to segregate themselves and declare their allegiances. But why form such specific, exclusive factions, driving a wedge between the guitar playing community? For good reason, as it turns out the two companies build different guitars for different purposes, making it perfectly reasonable that some players only pick a Fender while others are firm Gibson men (and women). But which is best for the player who has yet to pledge themselves to one brand? Read on and find out. Before we begin anything, however, certain ground rules must be laid out for this article. One, I neither a Gibson guy nor a fan of Fender; I actually currently play a Malden. This means that as of this point in my life, I am abstaining from the great debate and acting as an impartial author. This leads us to the second and last rule of this article: the reader should keep an open mind. Yes I realize that some people have played a Stratocaster, LP, etc. since before they were even old enough to know how to hold a guitar correctly, but ruling out another company simply because they are not the company one has grown up with will make reading this article a waste of time. But now that that’s out of the way, let’s dive straight into a discussion on tone. 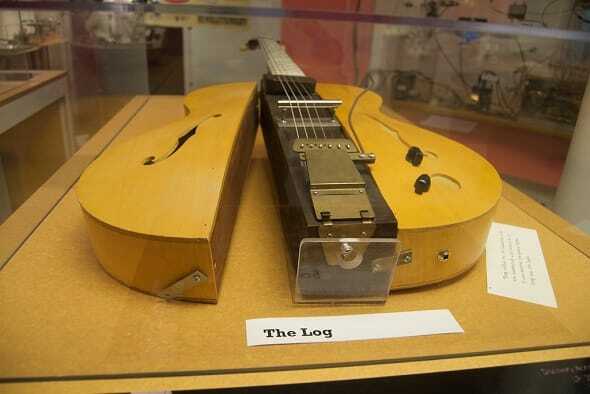 The biggest point of contention between the two brands, and as such this article begins, is the type of wood used to construct their instruments. 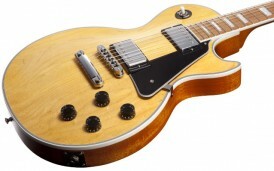 For Gibson, most modern guitars use mahogany wood. Mahogany is classified as a tropical hardwood, and can only be found naturally in Central America and the surrounding regions. This knowledge of the wood perhaps helps explain how it affects the tone of a Gibson, giving it that distinctive warmth and full-bodied ring often associated with Les Pauls and SGs. Though a full mahogany body will certainly give the player a super smooth and open sound, some players desire a little more rigidness in their tones, which is why many Gibson bodies use a maple top. Maple lends guitars a crisp and precise tone, which is perhaps why it is the go to wood for semi-hollow guitars. When a maple top is combined with a mahogany body, the depth and charming tone of the mahogany fits perfectly into the snappy structure gifted by the maple. It should be noted both of these woods are common neck woods as well, and tend to lend similar characteristics when used in the neck rather than the body. Though mahogany and maple are by no means the only woods Gibson uses, they are by far the most popular choice. Much like the company itself, Fender’s choice of wood is classic and American. 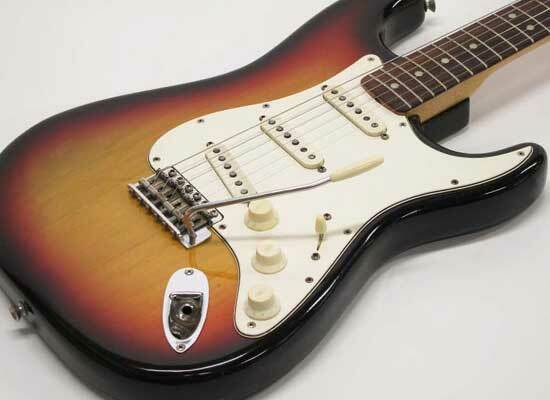 One popular choice found in a number of Fender guitars today is alder. Different species of alder are found across the Americas and the world. Because the health, location, and diet of the tree prior to harvesting make a huge impact on the tone, this makes alder a very fickle wood indeed. Despite this, alder has a reputation for a full, plump, and plucky sound. Alder became Fender’s choice of wood during the late 50’s and 60’s, but was by no means the first style of wood Fender used. Another classic tonewood from the 50’s that would go on to define the “Fender sound” is ash. Ash wood typically lends a pleasant, relaxed, and breezy characteristic to a guitar, though the wood is known for its ability to get twangy when need be. Ash, much like any of the other woods discussed, is highly malleable according to its origin, with swamp ash being the most coveted variety, especially when taken from the lower portion of Southern swamp ash trees with submerged root systems. Of course, a description as specific as this is definitely not the only type of ash used; northern ash and the upper portions of swamp ash trees are common and tend to sound a bit denser and heavier than prized lower swamp ash. Though the choice of tonewood has a huge effect on the sound a guitar produces, a number of other elements in a guitar’s manufacturing impact the tone as well. One of these elements that constantly comes up in the Fender vs Gibson debate is the type of pickups used. Fender is known for its single coil pickups, which offer a raw, powerful, and treble heavy sound. Single coil pickups are also more prone to picking up stray radio frequencies. When combined with supple, relaxed, full tones present in most of the alder and ash wood bodies Fender uses, single coil pickups excel at emphasizing the raw, natural tone of the wood. 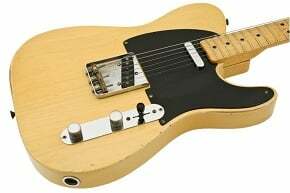 One word that tends to appear a lot when researching Fender’s tone is bell-like; this adjective could only describe the effect created in the treble and middle harmonics when a guitar with a combination of a lighter wood and single coil pickups is strummed. 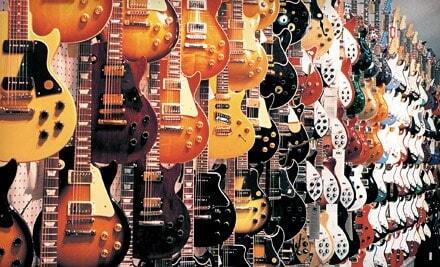 Gibson, on the other hand, is famous for its use of humbuckers. 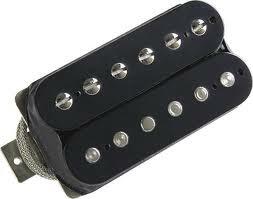 A humbucker is a type of pickup that uses two single coils attached by a large magnet. 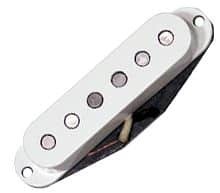 Because of the way the single coils are wound, humbuckers tend to pick up far less stray frequencies and unwanted tones than single coil pickups (thus they are ‘bucking’ the ‘hum’). Naturally, humbuckers change the tone of the guitar as well. Most of Gibson’s guitars featuring humbuckers could be described as darker, smoother, and heavier than Fender’s single coil designs. Again, the effect of the pickups can match to the species of wood to draw out the best of both; dense woods like the mahogany and maple Gibson typically uses work quite well with the chestnut tones of a humbucker. Examine the Les Paul, for instance, one of the heaviest guitars both in weight and rock-ability. The LP’s mahogany body (usually with a maple top) and humbucker pickups grants the guitar both a stellar, warm, mellow tone while playing soft, and a ballsy, sturdy tone when the volume is turned up. In no way are the wood and type of pickups used the only differences between Fender and Gibson. Guitarists could sit around all day and debate the nitpicky details of electronics or the impact of the shape of the body, but the point remains that the companies produce different products for different musicians. 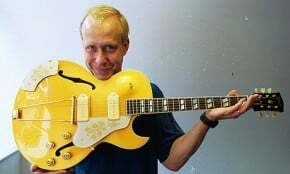 The truth is, neither Gibson or Fender is objectively better, but one may serve the needs of a certain player better than the other at any given moment. Which do you prefer? Be sure to leave a comment with your thoughts on America’s guitar giants, this column, or any other comments or concerns. Gibson–over rated–over–priced–look at all the neck problems. Fender the higher end–over -priced–over rated. I have both. The SG neck is more guitar-y but I like the strat bridge better. I like the strat body better too. The SG has some tones you just can’t get out of a strat. I’m kind of wanting a Gretsch. When comparing these two guitars, I think it’s only fair to specify that you are comparing the American Fender with the Gibson. Fender has basically 3 classes of guitars: American, Mexican, and Chinese (usually known as Squiers). Gibson has two classes, but they call their lower class the Epiphone. So, I have never owned an American Fender or a Gibson (I have a Gibson Les Paul Studio on lay away though and have tested several). Between the Mexican Fender and the Les Paul I’m getting, they both run in the $800 range and I love them both. The sound and feel are very different which helps you appreciate each brand. With my research, Fender has many more selections for specific sounds and looks except when it comes to hollow and semihollow bodies, that’s where Fender could hardly touch Gibson. Gibsons price range seems to pass up Fenders by far, however, when you want an affordable American guitar, Gibsons actually start off with the better deals. I have tested the American Fenders and did not find them worth their price difference, especially with Mexican Fender Classic Players that carry the same bridge as the American Fenders. However, I have been able to purchase a Gibson at the same price or cheaper than a high end Epiphone (especially if you have one that comes with a hardshell case). This makes a cheaper Gibson worthwhile. Cheap Gibsons are good Gibsons, you just get very little selection with colors, designs, pick guards, etc.